What if workforce diversity is more than simply the right thing to do? What if it can also improve the bottom line? It can. The Diversity Bonus shows how and why. Scott Page, a leading thinker, writer, and speaker whose ideas and advice are sought after by corporations, nonprofits, universities, and governments, makes a clear and compelling practical case for diversity and inclusion. He presents overwhelming evidence that teams that include different kinds of thinkers outperform homogenous groups on complex tasks, producing what he calls ?diversity bonuses.? These bonuses include improved problem solving, increased innovation, and more accurate predictions?all of which lead to better results. 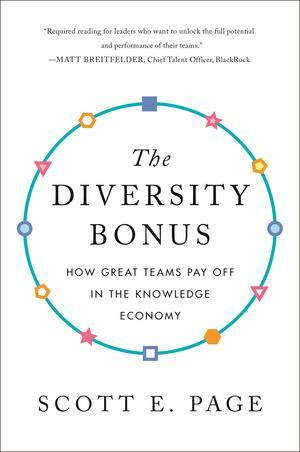 Drawing on research in economics, psychology, computer science, and many other fields, The Diversity Bonus also tells the stories of businesses and organizations that have tapped the power of diversity to solve complex problems. The result changes the way we think about diversity at work?and far beyond.